Safaris are the type of trip you plan for, probably spending time saving and anticipating the excitement of your trip for quite some time. Your choice of holiday on the African continent is, for most people at least, a once in a lifetime experience. Of course, it is quite unlike most other holidays so you may find your head full of questions, like what do you take and what to expect on safari? Well, don’t panic. This is your essential ‘how to’ guide with our 5 top tips to know before you go on your African Safari. If you’re going on a safari in Africa, you’re most probably hoping to get up close and personal with the magical Big Five creatures. Whether you are visiting one of the many private reserves in the wonderful Kruger National Park of South Africa or the plains and Savannas of either Kenya or Tanzania, there’s going to be a lot of travelling and time spent outdoors. But beyond that, what exactly should you expect? 1. What Should I Wear on Safari? 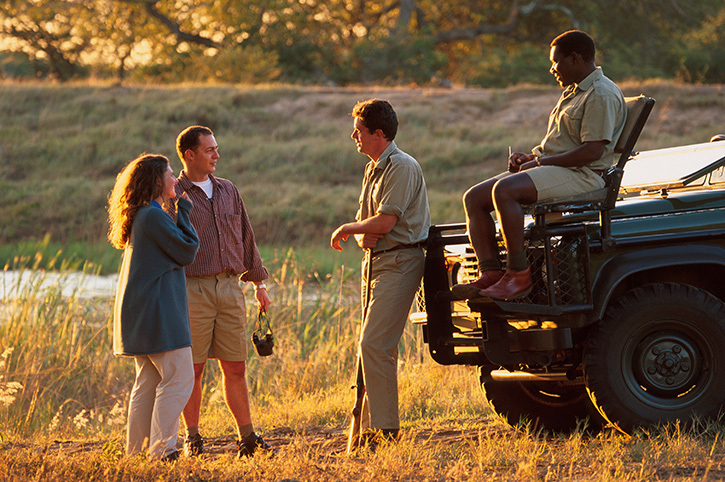 There isn’t much of a dress code on safari but casual and loose fitting clothing is definitely a must for these trips. Remember you’ll be spending long days on the trail of wild animals and so comfort is therefore essential. Depending on the time of year, warmer clothes may be necessary to counteract the cold winds in winter or the summer will require shorts, t-shirts and plenty of sun cream to shield your skin from the rays. There are also early morning starts to keep in mind, too. Before sunrise, temperatures may not yet be very high but getting up for a trek at this time of day is highly recommended for seeing some great scenes as animals congregate for early morning drinks and dips in rivers and pools. Later in the day, the sun will rise and the temperatures may increase. This means bringing layers of clothing that aren’t too heavy is a great idea, allowing you to carry that lightweight jumper more easily throughout the day. Keep a jacket with you, too, if you visit the Highland areas and in game reserves, and remember that even if it’s warm out, speeding through the plains in a 4×4 brings with it its own cold breeze. If you’re visiting during the rainy season, clearly it’s a good idea to bring the waterproofs too. Aside from the types of clothing to bear in mind, the colour is something important to consider too. On safari, dust and red soil can quickly stain white clothes and if you’re on a trip with plenty of stop-off points, your stays in the lodges can often be too short to clean your clothes at night and have them ready for the next day. So plan ahead to make sure you have enough clean clothes and bring darker colours so as not to ruin them before you bring them back home. It is also useful to think about protecting yourself from mosquitoes, especially during the evening and at night. In the daytime, protective clothing and skin repellents come highly recommended too. Safaris are all about getting up close and personal with fantastic beasts in their own back yard but in order to do that, you need to travel. Despite the presence of safari lodges where visitors can pitch up in a room with a view, seeing as much as possible on safari can mean long days driving through the awe-inspiring African wilderness in search of the main attractions, the animals themselves. Days out in the bush can be long and involve bumpy, dusty tracks, but game drives are conducted in 4x4s meaning that there tends not to be too much in the way of physical demands for travellers. 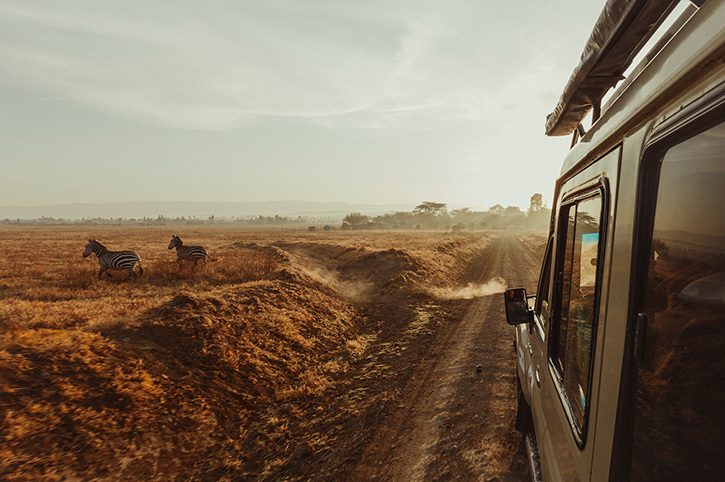 Depending on the time of year you plan to travel, be prepared for exposure to the elements – especially the sun in the summer – as vehicles tend to be fairly open to allow safari-goers the best chance to see what they came to see. Speeding through the wilderness can also involve a wind chill factor at other times of the year – or even the possibility of getting wet during the rainy season, so pack accordingly for the season. Despite the fact that game drives are popular, some of the private lodges dotted around the continent offer lengthy walking tours offering the more adventurous travellers the chance to stretch their legs for a couple of hours and see the parks even more closely. These are perfect for those who want to get even more out of their trip, seeing everything up closer and being introduced to some of the flora and fauna of the region by expert tour guides. Combine safari and beach for the ultimate Africa holiday experience. In short, safaris are as physically demanding as you want to make them. So, whether you’re in the mood for a hike with a difference, you want to see the views from a spot by the pool or anything in between, there’s a way to make it happen. In Africa, just like haggling, tipping is a real institution, but as is the case everywhere you travel, it is not advisable to carry large sums around with you all day. As a guide, count around £5 to £10 per person that you want to thank each day, perhaps the housekeeping staff in your hotel or your safari driver. Remember that tipping is always at your own discretion and you should only part with the money you’re comfortable giving over as a tip and should never feel pressured to leave one. If you’re on a safari in a smaller group of two to three people lasting much of the day, consider raising the tip by a couple of pounds. The local currency for South Africa is the South African Rand, divided into 100 cents. Whilst it’s always exotic to have a foreign currency in your hands and you may want to even keep some to bring home as a souvenir, credit cards and travellers’ checks in US dollars are widely accepted throughout the country. As a guide, tipping in South Africa is usually around 10% to 15% for service in restaurants and bars. The monetary unit in Kenya is the Kenyan shilling and in Tanzania it is the Tanzanian Shilling. Whilst both are Shillings, the Kenyan and Tanzanian currencies are not exportable and travellers should change their remaining Shillings if they switch between the two nations. On safari, English is spoken by those who work in tourism and the most famous safari parks will see international visitors year-round. If you want to explore the vast and vibrant areas outside the safari parks, getting to know the urban centres and life away from the bush, there are plenty of languages and cultures you can choose to explore. In South Africa, there are 11 official languages. English is one, but some travellers might wish to spend some time on their trip immersing themselves in the cultures of some of the others, perhaps Afrikaans, Zulu or Xhosa. Kenya’s official language is Swahili, a language which includes a mix of African and Arabic idioms, but the second official language is English, making it easy to get around and make yourself understood. In Tanzania, it’s a similar story, with Swahili and English being the two official languages. Both are widely spoken and understood. There are more than 120 ethnic dialects practiced in Tanzania so it’s always fun to catch and use some key words along your trip. Landscapes are as varied and sumptuous as you would expect when travelling through the African wilderness and you may well have honed your talents as a wildlife photographer by the end of the trip. Everyone wants to document their adventure to keep the magic alive afterwards but as competent and skilled as the guides on safari trips are, it is not always possible to get within just a few metres of these impressive animals. For this reason, a zoom lens will often be essential to take the most beautiful shots to share on social media or show your friends and family back home. If you are taking a camera, remember that most photos are usually taken from your safari vehicle but it’s worth carrying a waterproof case to protect your device and your lenses from the dust of the tracks. As a courtesy, try to seek the agreement of people before taking their picture. Always follow the advice of local guides and simply try to understand and be respectful of the local culture. 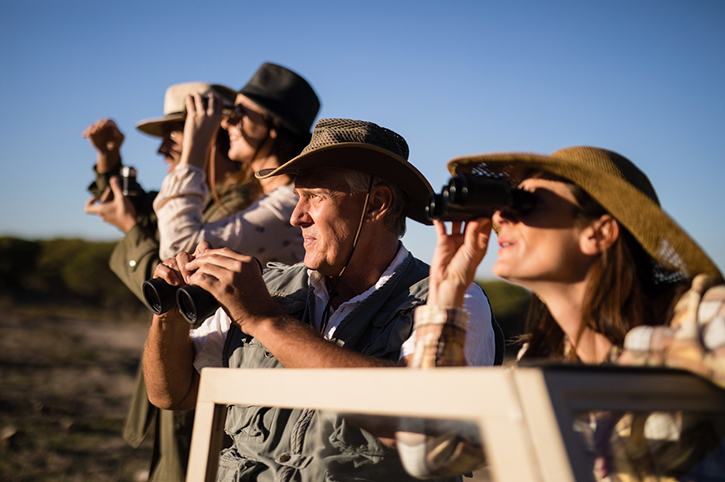 When preparing for your African safari, whether you’re planning a short safari break or a multi centre Africa adventure, the contents of your suitcase must be adapted to the activities you’ll be planning and your preparations for your trip should cover all the important points to make your holiday a success. Use this know before you go safari guide to help you work out what to bring and what to expect on your Africa holiday. With everything from clothing and travel, to tipping and food, following our top tips will help to ensure you have the best possible time on your once-in-a-lifetime experience in Africa.